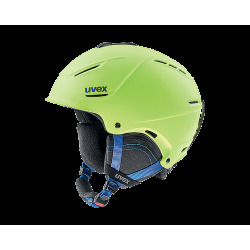 The Uvex junior visor pro ski helmet combines function with perfect styling. 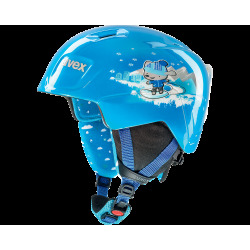 This easy to handle ski helmet is made for the everyday ski adventures of a child. 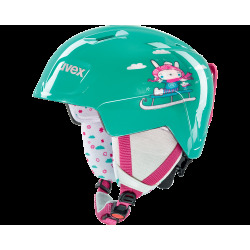 The all new Uvex junior visor pro kids helmet is the ultimate comfort guarantee for your child. With a specially designed lasergold lite visor shield, your child will always have the perfect view on the skiing slopes. The visor can easily be moved up or downwards. 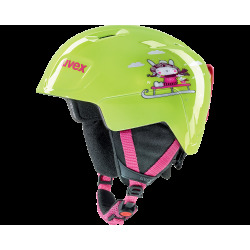 All the necessary technologies known from the senior models are integrated in this inmould ski helmet: Ear pads and lining could be removed. A special vent system cares for an ideal ventilation. The IAS fitting system as well as the Monomatic closing system guarantee a perfect fitting and comfort of wearing. Removable and washable lining, Uvex liners are moisture wicking, anti-allergenic and easy to remove for washing. 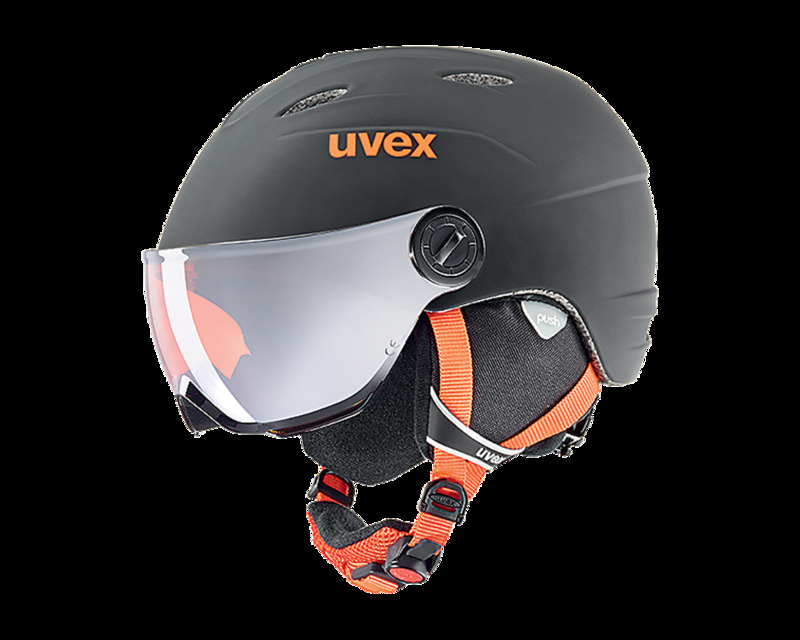 Monomatic: Button-press adjustment, multi-stage and anatomically shaped: Uvex’s monomatic comfort closure opens and closes at the touch of a button, with just one hand. The chin strap always sits perfectly. FAS, Simple and practical, Fast Adapting System webbing can be easily and continuously tailored to your exact head shape. The helmet stays securely on the head in all situations and the webbing straps are always in the best position.